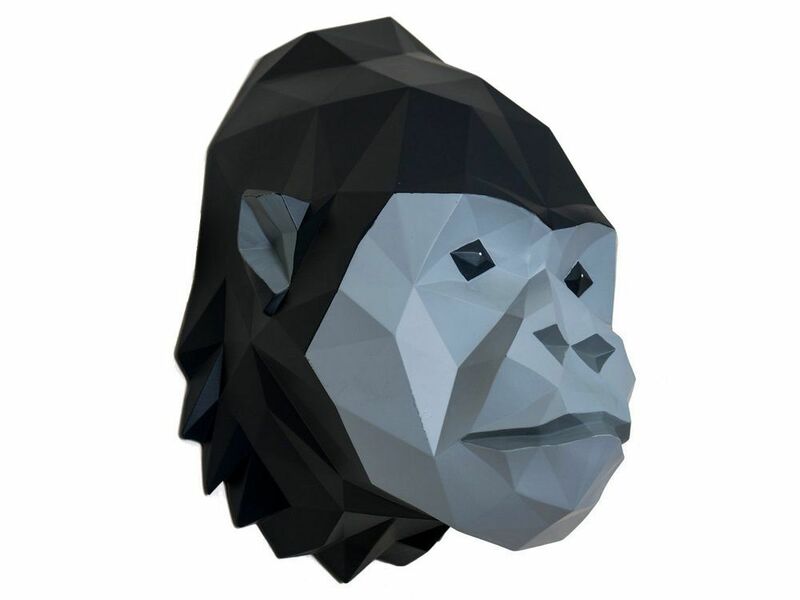 Bring quirky 3D art to rooms with this unique abstract gorilla head wall mount. This animal wall art creates an eye-catching focal point as the gorilla bursts from the wall with an inscrutable expression on its face. Made from resin in black and grey, this decorative gorilla wall mount has a fascinating texture created from the origami-style design. The facets create a cartoon-like effect and reflect light to splendid effect; it can't fail to turn heads. Create a running theme through rooms by pairing this gorilla head with other exotic animals from the same collection.